Can I Play HIT 5 Online? Read Reviews! Days of Draw: Mon., Wed., Sat. 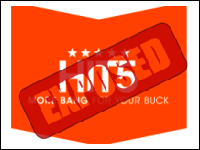 HIT 5 Exposed — Can You Purchase Tickets Online? For those of you who like US lotteries, chances are that you’re looking for new opportunities to try. A local lottery from Washington may be providing such an opportunity. This opportunity is called HIT 5. You may be asking yourself already “can I play HIT 5 online?” Slow down a little bit, partner! While we do have the answer for you, we’d also like to give you a little bit of additional interesting information about the lottery. Washington’s HIT 5 is a pretty straightforward game. The first drawing took place on March 19, 2007 and ever since, the lottery has had three drawings per week – on Monday, Wednesday and Saturday. The game is one of the entries in the portfolio of Washington’s Lottery – a state entity that manages and organizes draw-style games as well as scratch games. Just like other local lotteries in the US, this one is characterized by affordable ticket prizes, multiple drawings and moderate jackpots. If you are expecting millions, HIT 5 is not the game for you. If you want a bit of diversity and something cool to try for only a dollar, you should definitely test your luck. Does It a Scam: Can You Safely play Hit 5 Online? This is a question that has two parts. The answer to the first one is – no, HIT 5 is not a scam. The answer to the second one will be provided in one of the following sections of this guide. As already mentioned, HIT 5 is organized and held by Washington’s Lottery. The Washington’s Lottery is run by the local government and the organization was first set up in 1982. Through the years, it has held various different games, some of them retired already. The ones currently in the portfolio of the Washington’s Lottery are Lotto, Daily Keno, Daily Game and Match 4. On top of holding the state lotteries, Washington’s Lottery is also responsible for the operation of the national ones – Mega Millions and Powerball. Occasionally, Washington’s Lottery organizes special games. These are also worth waiting for because they tend to come with bigger prizes. For its 25th anniversary, Washington’s Lottery held a raffle-style celebratory game that sold 375,000 tickets. There were three top prizes of one million dollars each. How to Play HIT 5? HIT 5 is a really simple game. Some people like the fact, others would prefer something a bit more complex. This is a matter of personal preference. To play HIT 5, all you have to do is choose your 5 lucky numbers from a pool of 39. If you get all of them correct, you will win the jackpot that has accumulated by the time of the drawing. Every entry in the game costs a single dollar. The cool thing is that HIT 5 comes with a minimum guaranteed jackpot, which increases in the case of no winner for the respective drawing. Tickets for the respective drawing can be acquired by 7:45pm on Monday, Wednesday and Saturday. If you buy a ticket after the end of the cut off time, you will be participating in the next drawing. There are no bonus numbers or special additional games. In a sense, HIT 5 is a “what you see is what you get” kind of opportunity. Before finding out whether you can play HIT 5 online, let’s examine the prizes. The game comes with a minimum guaranteed jackpot of 100,000 dollars. While this may seem a bit small, you should also take a look at the odds. The chances of winning the jackpot are approximately 1 in 576,000 – much better odds than those coming with other national lotteries. The biggest jackpot in the history of HIT 5 was 730,000 dollars and it fell in the beginning of 2012. There were two lucky winners that split the great amount between themselves to start off the year right. Apart from the jackpot, HIT 5 features 3 additional prize tiers. The second prize is handed to those who get 4 numbers correct. The odds of this happening are 1 in 3,390 and the corresponding prize totals 100 dollars. A prize of 10 dollars is handed to those who have 3 numbers correct and those who have 2 numbers will win 1 dollar. The overall odds of winning any HIT 5 prize are 1 in 8.77 – a pretty decent statistic, we believe. Play HIT 5 Online: Is it Possible? We’ve now come to the key question – how to play HIT 5 online. Unfortunately, it isn’t possible at the time being. To play HIT 5, you have to be on the territory of Washington. You can be a citizen of another country or you may live permanently in another state – there are no restrictions. It’s still impossible to play Hit 5 online, however. Would you mind rating HIT 5? All of the Washington HIT 5 prizes are paid out in the form of cash lump sums. For prizes of 600 dollars or less, a request can be made at any authorized retail venue. Players can also choose to request the amount via mail, directly from Washington’s Lottery. Sums that exceed 600 dollars can be claimed at one of the lottery’s offices. If the sum is bigger than 100,000 dollars, it would be best to first call Washington’s Lottery. This way, you will get more information about where to claim and how long processing would take. A final important thing to remember is that lottery prizes in Washington are subject to both state and federal taxes. Thus, the advertised sum will be reduced by the respective amount. HIT 5 is great for those who want some diversity on a local level. If you are not in Washington, however, you will need to look elsewhere for your chance to win some easy cash.